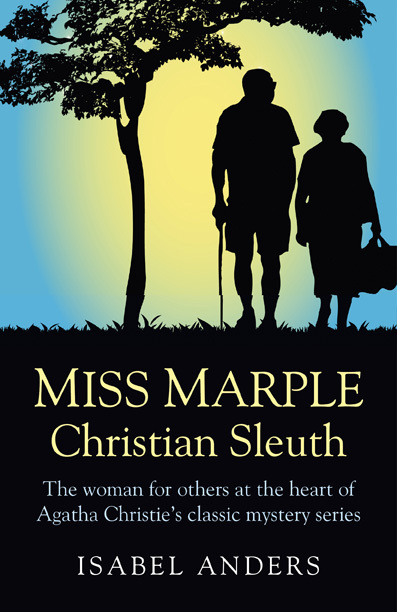 I woke up on Black Friday and checked my e-mail—only to find a request from my British publisher that I contact a Liverpool radio station interested in interviewing me next week about my forthcoming book (Jan. 20103), Miss Marple: Christian Sleuth! I have done radio interviews before, live and taped, for several previous books. But never for an overseas audience. Radio City UK! If it all works out I’ll be on the air next Wednesday morning my time/afternoon theirs. What was the initial thread of this literary adventure? Then I remembered Dorothy Sayers’ famous saying: “Time and trouble will tame an advanced young woman, but an advanced old woman is uncontrollable by any earthly force.” And as Psalm 92 assures us: “The righteous flourish like the palm tree. … In old age they still produce fruit.” That was Miss Marple in a nutshell (pardon the image)—and I was off and writing. It is amazing how, as I reread the texts behind the videos—the twelve Miss Marple novels and twenty short stories about her—the ideas and themes kept popping up and organizing themselves, giving my book the structure it needed. Let’s hear it for the unnoticed, the humble, the spiritually disciplined among us who help hold together the fabric of human civility and strengthen spiritual values—often quietly, behind the scenes. Radical: Adjective: (esp. of change or action) Relating to or affecting the fundamental nature of something; far-reaching or thorough. Relating to or proceeding from a root. Arising from or going to the source … this is the definition of “radical”—though the term is popularly used to describe a person who advocates overthrow or total reform of a social or political system. On the need for “radical” thinking—Jose Marti wrote that the one who “does not see things in their depth should not call himself a radical.” Who dares to do so, since identifying oneself as a radical (even in the root-sense) is a sure way to become ostracized and misunderstood, if not persecuted? Yet there is a definite need for radical reevaluation in our lives from time to time—to do the hard work of examining our own purpose, along with many urgent practical issues, as a new delving into what is behind it all. What is needed is self-awareness and honesty about what our beliefs are truly based on (our understanding of what it means to be human), and how they affect other people, especially the legacy they leave to our children. Could it be that we are not radical—root-oriented, source-influenced—enough? Jesus said that where our treasure is, there will our hearts be also (Matthew 6:21). Do we even know our own hearts in a radical enough way? There is a journey latent here for each of us to engage in. Do we dare travel to the root and come back to tell our stories? Quest. It’s a “long and arduous” search for something—a true investigation and pursuit, perhaps involving sacrifice. A hunt … a plan … a journey seeking the most-dearly-sought-after, whatever it is. As J. R. R. Tolkien wrote in The Fellowship of the Ring: “All that is gold does not glitter; Not all those who wander are lost.” Indeed, when we are on a Quest ourselves, it is not always apparent even to those closest to us. When an individual’s choices and actions seem to make no sense to a society that values money, fame, and pleasure above all, it is possible that person is pursuing another, less visible track. The Inner Quest for wholeness of spirit, for a sound conscience, for purity of intention does not necessarily send up fireworks to announce its route. Better that it does not. That’s much to be preferred to pyrotechnics that might attract and dazzle—but short-circuit the Quest itself. For every soul encounters temptation to waver on its path. And flattery, even open admiration, can throw a searcher into disarray. Of course, our questing is not always solitary or inner. Many friendships and loves have grown from a Quest for the same thing, and a realization that two may attain a goal more pleasantly and successfully than one. But when our heart compels us to a Quest, inner or outer—we are never guaranteed company—nor success, or even survival; not fulfillment, or certain, measurable gain. Ultimately, the true Quest is for its own sake, as we can do no other. And we will know with inner certainty the nature of the Quest to which we are called—as we discover, act, and persevere in its pursuit. It all begins with identifying our Quest and taking the first step. The Quest calls us to gather all that we are and to concentrate our will toward the pursuit of its end: To be self-aware but not self-conscious or obsessed—a distinction discovered, learned, and honed only while one is on the Quest itself.